At times, American politics can be very confusing. 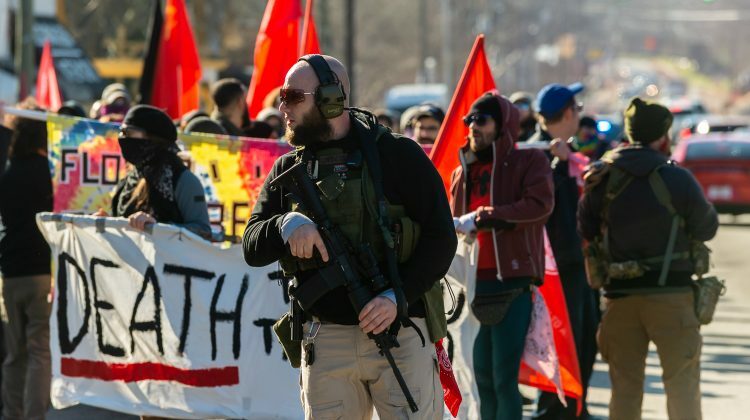 According to the liberal media, the bad guys are those people (usually white) who want the US to remain largely white European, march around with guns and wave flags from the distant past. While the good guys are those people (again usually white) who favour mass immigration and open borders, welcome the demographic transformation of the US and don’t usually waves guns or flags from the distant past. An event at the weekend near Atlanta, Georgia, turned all those assumptions upside down. So-called ‘neo-confederates’ (who favour states’ rights and eventual secession from the federal government) planned a rally at Stone Mountain national park, which features a carving of Confederate leaders from the American Civil War. The permit to hold the rally was denied and the ‘neo-confederate’ rally cancelled. 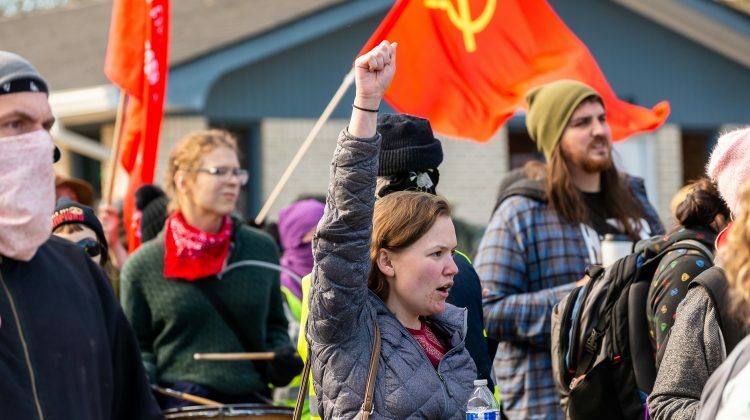 However, about 100 so-called Antifa still turned up at the national park and marched to the site of the rally shouting violent slogans and carrying abusive banners. Some of them also carried guns and waved flags from the distant past. A small police presence watched the march and rally unfold and only intervened in order to extinguish an effigy of a KKK supporter which had been set alight. The liberal media reporting this story seemed very pleased that the ‘neo-confederate’ rally had been denied. Moreover, they failed to condemn those carrying guns or waving flags from a distant past, which is very surprising. Or is it? Perhaps the liberal media would be happy to see certain people killed! Back in November 1979, the liberal media were also very keen to report on an event featuring a similar communist group agitating in a black neighbourhood of Greensboro, North Carolina. They were also armed with guns and violent slogans, but when the ‘neo-confederates’ turned up, the guns were not just for posing!